Peach Extract is One Serious Overachiever. There’s a whole bevy of ingredients you should consider when it comes to glass skin, skin that’s so clear and translucent it appears like glass. Glass skin might sound impossible and totally unattainable without an exorbitant budget and all the time in the world to focus solely on skin, but it doesn’t have to be — it really comes down to keeping skin healthy, nourished, and hydrated. That means taking care of your body’s health overall by drinking enough water and eating well but also making sure that you’re using products with beneficial, nutrient-rich ingredients. Unsure what those ingredients are? That’s why we’re here! In this post, we want to talk to you about a slightly lesser-known but no less incredible ingredient: peach extract. Peach extract is a vitamin powerhouse. Vitamins A, B, C, E, and K — it might be faster to talk about the vitamins peach extract doesn’t have. 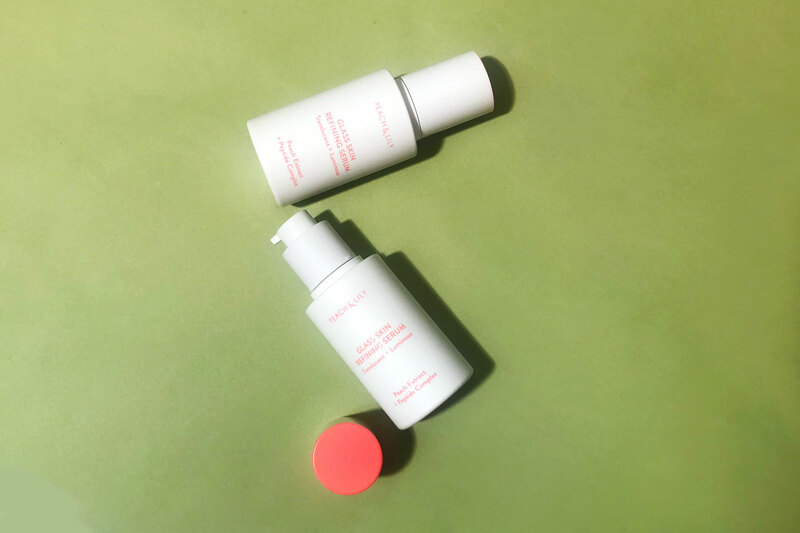 To highlight a few of the vitamins found in peach extract: vitamin A has powerful anti-aging properties, helping to tighten, plump, and lift skin visibly. It also helps boost collagen production and fade discoloration. Vitamin C is an antioxidant that also helps fight visible signs of aging, protecting skin from free radical damage and boosting collagen production. Vitamin C also helps brighten skin and fade hyperpigmentation, and peach extract particularly has a lot of vitamin C! The thing about vitamin E is that our bodies do not naturally produce vitamin E; we have to take it in via food, supplements, or topical products. Vitamin E has many benefits overall, but, when it comes to skin, its potent antioxidative properties help protect skin from visible signs of premature aging, protecting and helping repair skin, particularly from damage caused by environmental stressors. Peach extract is also a mineral powerhouse. Let’s start with calcium. Calcium helps speed up cell turnover, the process in which skin produces new cells in its deepest layers and pushes them up to the surface. Cell turnover is important because it helps prevent dead cells from sitting on the surface of skin, which makes skin appear dull, and it’s necessary for skin health because new, young skin cells are constantly replacing older, dead skin cells. In other words, cell turnover helps make your skin radiant and clear — like glass, you might say. Calcium works on the surface layer of skin to help repair our natural skin barrier while also helping stimulate cell turnover, which, inevitably, slows as we get older. Potassium, also present in peach extract, helps boost the growth of new skin cells (which is obviously an essential part of the cell turnover process), and phosphorous helps repair skin cells. Then, there’s zinc, a powerful antioxidant that helps minimize damage caused by the sun and environmental stressors. Zinc is also particularly protective of collagen, helping maintain skin’s elasticity and bounciness, and it also has anti-inflammatory properties that help fight acne. Peach extract also has powerful antioxidants — we said it was an overachiever! There are two primary active antioxidants found in peach extract: lutein and zeaxanthin. They’re both carotenoids, a category of plant-derived compounds, and are high in flavonoids that help protect skin from UV damage. They also help fight free radical damage that could lead to visible signs of premature aging or hyperpigmentation. That means that peach extract helps skin cells protect themselves from sun damage. To be very clear, that does not mean you shouldn’t put on sunscreen if you’re using a product containing peach extract! You should always be applying sunscreen as the final step in your routine in the morning and reapplying throughout the day. Peach extract does other things, too. All in all, these different properties of peach extract work together to help keep skin fresh and healthy. Not only that, but peach extract also works with nutrients already in skin to help fight visible signs of aging, encouraging cell repair and providing protection against further damage. Peach extract also has moisturizing properties, and the peach kernel, in particular, is full of fatty acids that help skin retain moisture and maintain elasticity. Fun fact? All this makes peach extract, which is suitable for all skin types, particularly beneficial for dry or mature skin. Peach extract, unfortunately, isn’t that easy to find. Given how awesome peach extract is, you’d think you’d see it in every single skincare product, but, unfortunately, peach extract can be a more expensive ingredient because of the cost of its extraction process. It is, however, a star ingredient in the Peach & Lily Glass Skin Refining Serum, which is your fast track to glass skin! Put simple, glass skin is the culmination of consistently giving skin the nutrients and hydration it needs to thrive, and the Glass Skin Refining Serum is packed full of beneficial ingredients that hydrate, nourish, and balance skin. 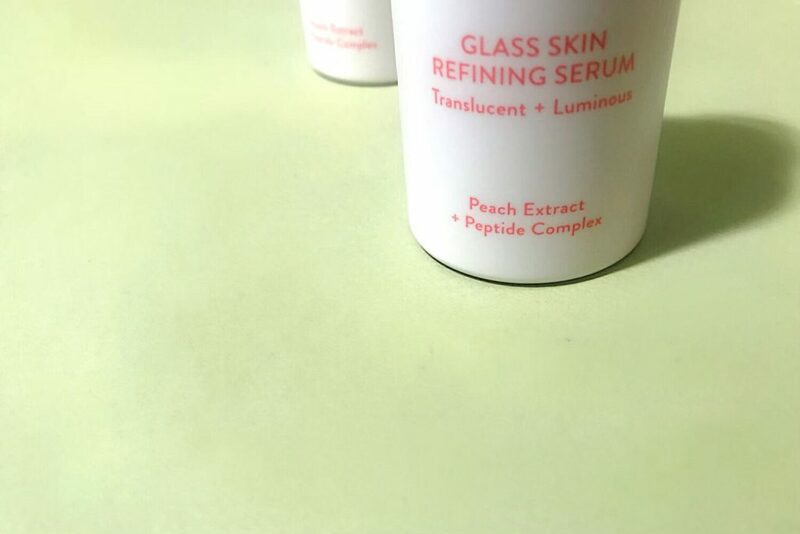 Peach extract might be one star ingredient, but there are are so many other powerful ingredients in the Glass Skin Refining Serum that work together to give your skin everything it needs to glow, ingredients like niacinamide, hyaluronic acid, and madecassoside, amongst others — and the best part? The Glass Skin Refining Serum costs $39.